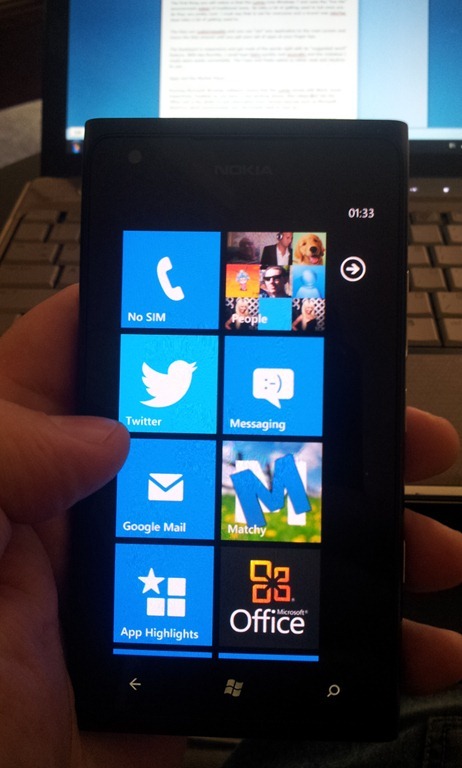 I have used a Nokia phone in a long time and so I was very excited when I opened up the Nokia Lumia 900 box. It is my first Nokia in a long time and I wanted to see just how much Nokia has evolved especially with the Windows Phone OS. 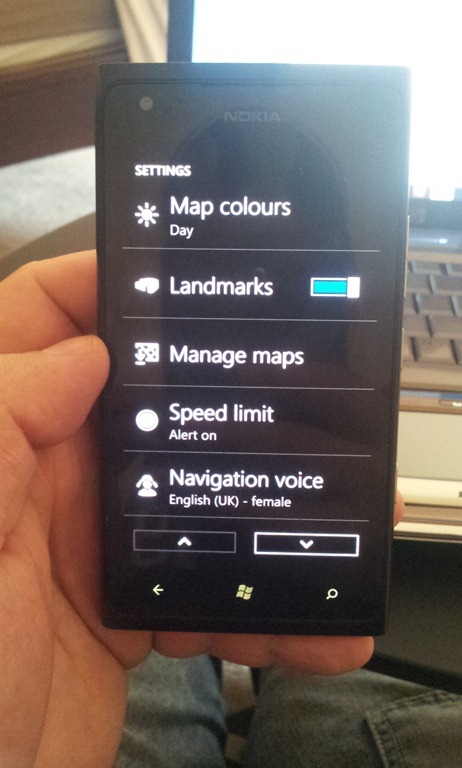 The first thing you will notice is that the Lumia runs Windows Phone 7 and uses the “live tile” environment instead of traditional icons. 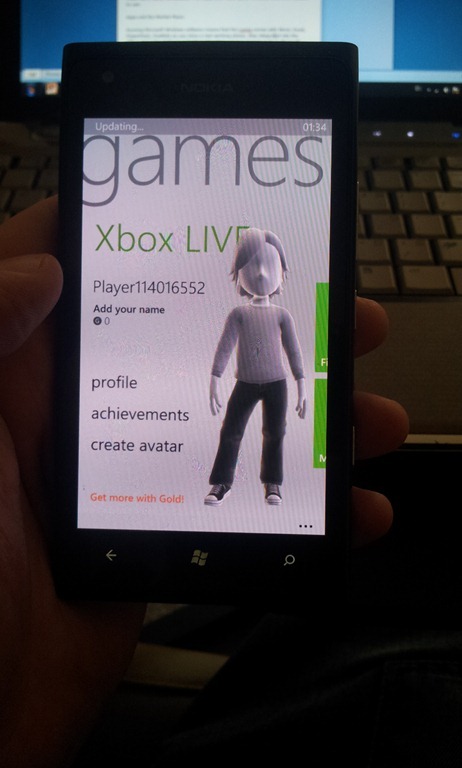 Its take a bit of getting used if its the first time you are using a Windows Phone. I like the “ttles”. The tiles are customisable and you can “pin” any application to the main screen and move the tiles around until you get your set of apps at your finger tips. I set up my Email, Twitter, Facebook, Internet within the first 4 tiles and used them constantly. Browsing the web was seamless with the built in IE9 browser which worked well in both WiFi zones and 3G connectivity. 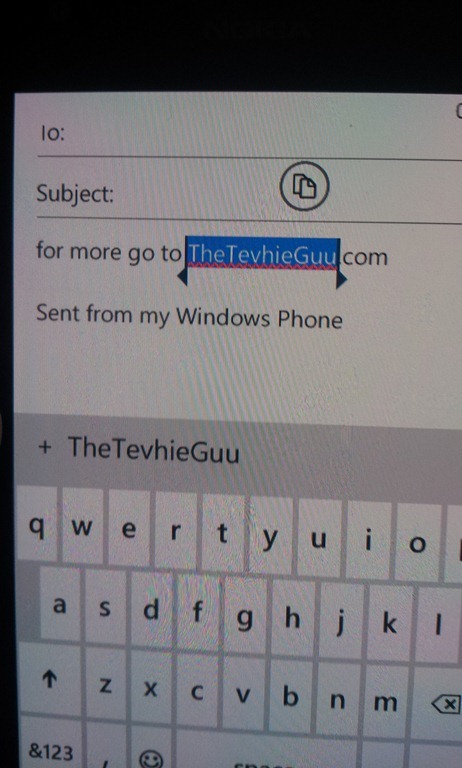 The keyboard is responsive and got most of the words right with its "suggested auto-correct word” feature. With two thumbs, I could type fairly quickly and accurately. 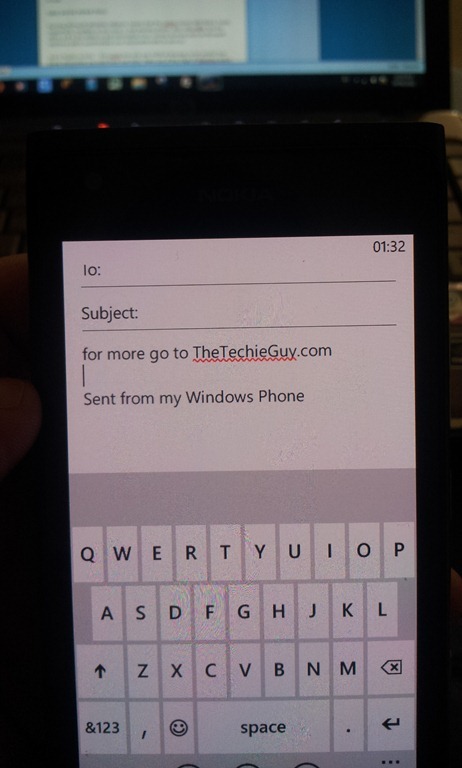 The Copy and Paste option is rather neat and intuitive to use. The one thing I didn’t like was that if you made a mistake in a word, you can not correct just that one letter but you have to delete the entire word and type it again. The Battery must also get a mention as the phone has many features that I played with and even with moderate usage it still managed to last a day and a half without the need to charge it. Running Microsoft Windows software means that the Lumia comes with Word, Excel, PowerPoint, OneNote so you have a real working-horse phone. Also integrated into the Office suit is the ability to pull information from various sources such as Microsoft SkyDrive which synchronised your documents back to your pc. 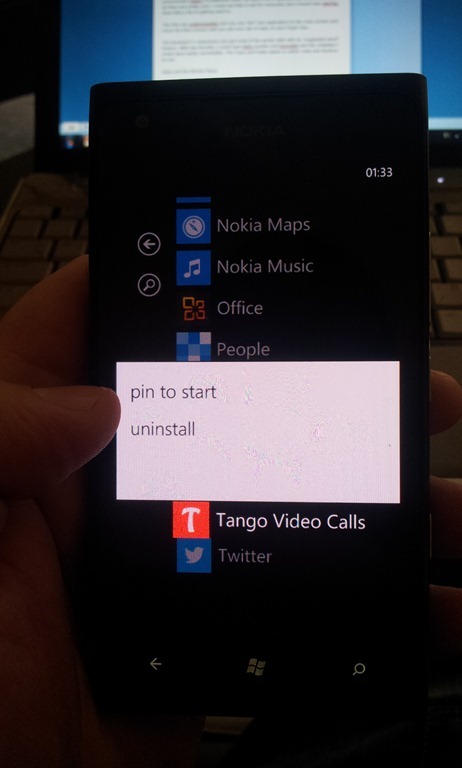 Just a warning: the Lumia has only got 16GB of storage so be careful how many documents you send back and forth. Make use of the 25gb of Skydrive space you get and only keep critical documents on the phone itself. And no, there is no SD expansion slot. Whilst it doesn’t come pre-loaded with the usual suspects of applications you can get them via the Marketplace with ease.The other advantage of being a Microsoft partner is that the marketplace is linked to the Xbox store so you can get their mobile games too. 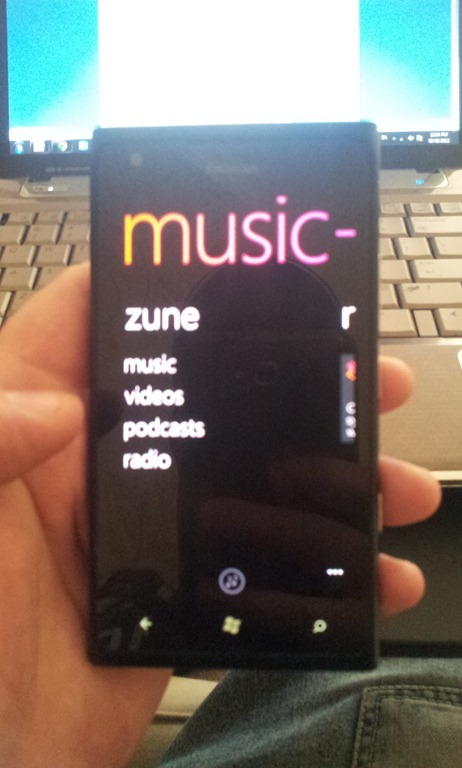 Finally, you can also link to up Nokia’s Zune store to buy your music at a touch of a button. All very convenient. The Calendar is slick and moving between Agenda, To Do, Appointments is done with just a flick of a finger. It synchronised perfectly with my Gmail with no issues whatsoever. So did the Contacts. No complaints there at all. 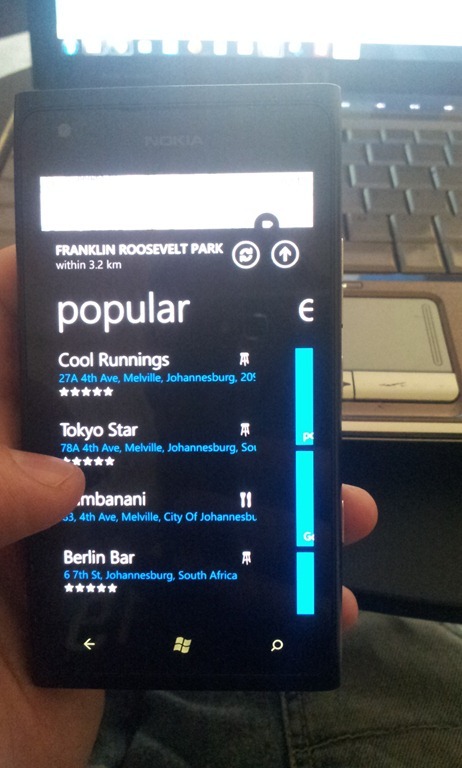 This application is exclusive to the Nokia Lumia range and it is a superb product. 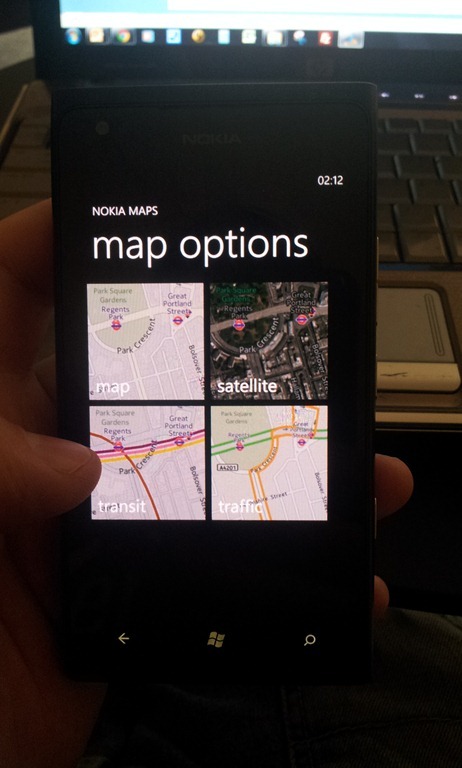 The first step is to select the country that you are visiting (or are in) so the maps can be downloaded. With 190 countries to choose from you are pretty well covered. There is also traffic information from 26 countries too although I don’t think South Africa is once of those countries as I couldn’t get any traffic information anywhere. So why download the maps? Simple, so you can drive in the “offline” mode. If you are travelling with limited internet signal or going overseas and don’t want huge data bills, this is the answer. Its one of the best Personal Navigation Device (PND) I have used and if you are a road-warier, its something worth looking into just for this feature alone. 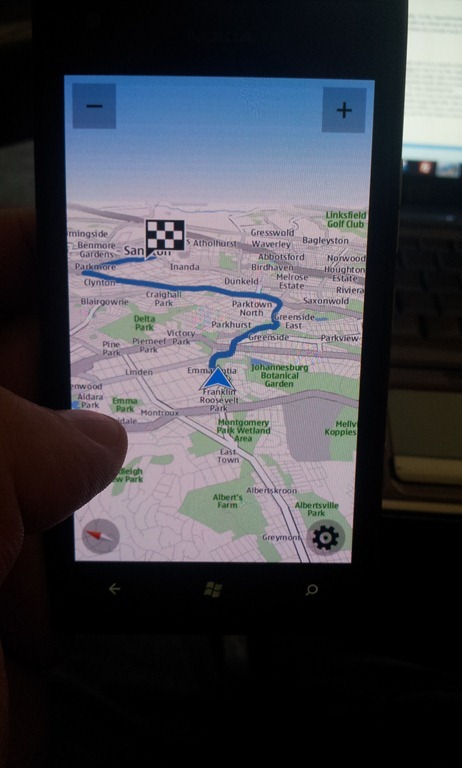 Even the built in Nokia Maps is feature rich and really useful especially when in a city that you are not familiar with. 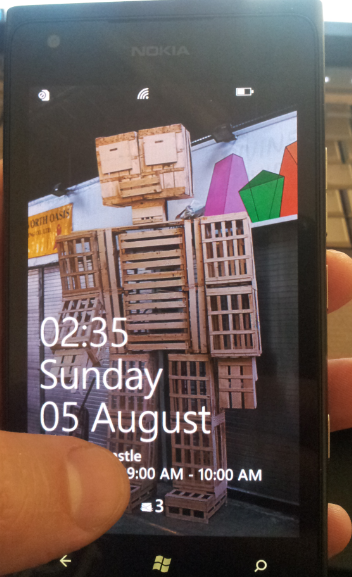 The Lumia is a great phone. You do have to get used to the new navigation but that takes minutes to master. It is customisable and integrated well into your daily routine. Having Office pre-built in is helpful especially if your company uses OneNote. 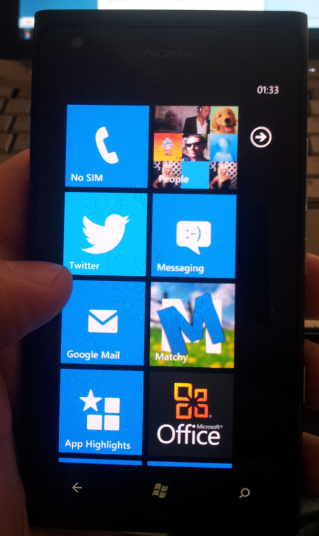 Whilst I enjoyed using the phone, it is so unfortunate that you will not be able to upgrade it to Windows Phone 8. 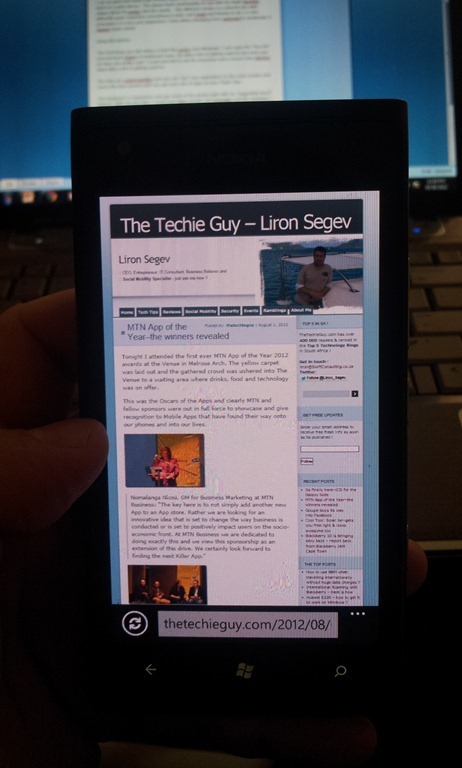 I see that as a major stumbling block for this great phone. 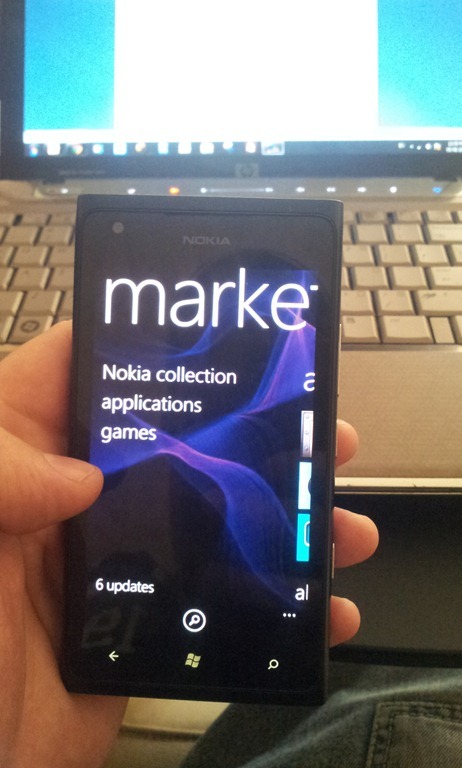 Especially when it comes to the marketplace as developers are targeting Windows Phone 8 and so the marketplace isn’t fresh with applications.